It’s Tokyo Game Show time, and that means games like Jump Force and others based on super hype Japanese IP are currently seeing a landslide of information. 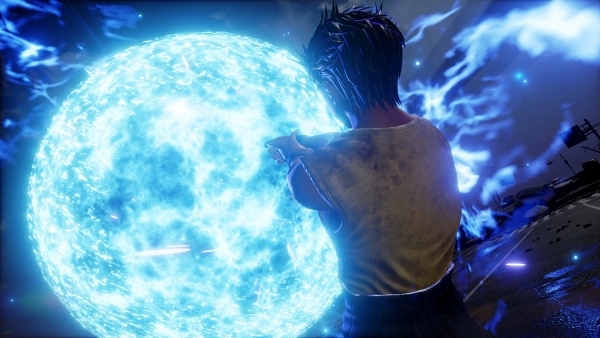 Bandai Namco has just released a ton of details for Jump Force, including a batch of screenshots, new character reveals, new trailers, an updated release window, and even all the goodies that come with the collector’s edition. Let’s start with characters. Word broke out that some more Hunter x Hunter characters are part of the game, specifically Killua and Kurapika. The TGS 2018 information dump brings classic Shonen Jump staple Yu Yu Hakusho to the mix, with main character Yusuke Urameshi and early big bad Toguro. Not only that, but a group of totally original characters have been introduced, and all of them have been designed by manga legend Akira Toriyama. In logistical news, Jump Force‘s release window has been updated from 2019 to February 2019. If you manage to survive the massive wave of January 2019 releases, you’ll be able to unwind a bit with some good, old-fashioned, anime violence. In addition to the release window, Bandai Namco also revealed the game’s collector’s edition, which comes with some cool stuff. Obviously, there’s the big box it all comes in and a steelbook case for Jump Force. Then, there’s a 30cm diorama statue featuring Naruto, Luffy, and Goku. Those three characters are also represented with a set of art cards, and there may be a season pass included as well. The North American trailer doesn’t feature it, but the European trailer does, and it includes nine DLC characters. You’ll hear from us if that changes in any way, of course. Finally, Bandai Namco will be running a closed beta test in North America and Europe from October 12 to 14, 2018 for both the PlayStation 4 and Xbox One versions.